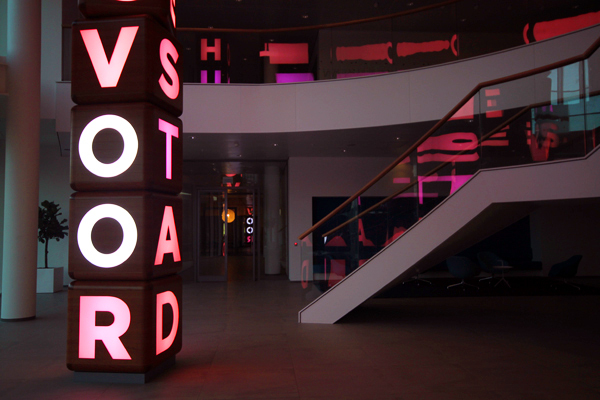 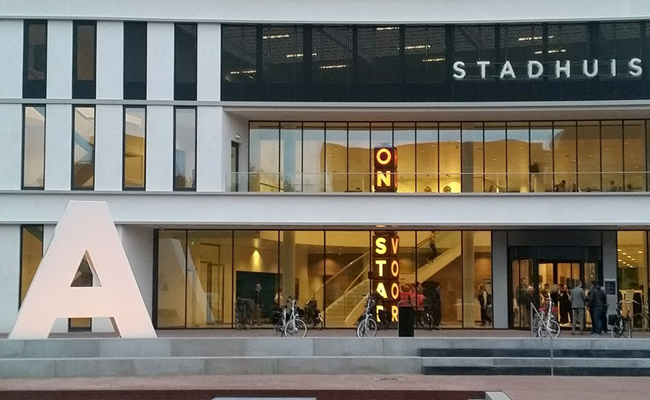 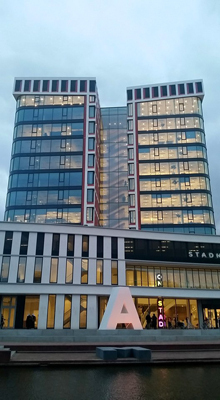 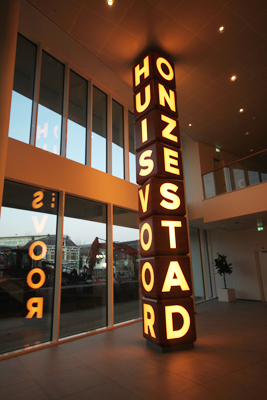 For the new town hall of the city Almelo, a work of art of Marc Ruygrok was placed consisting of several sculptures. 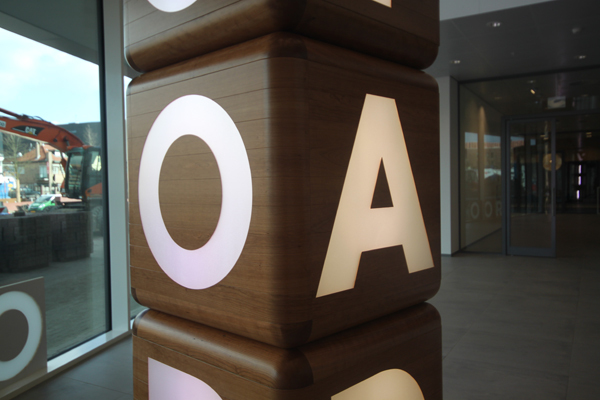 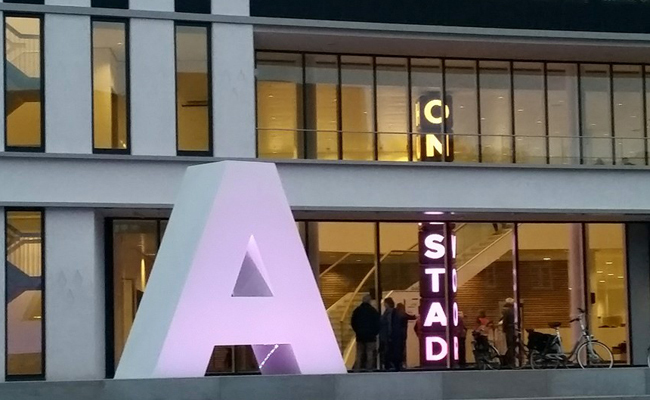 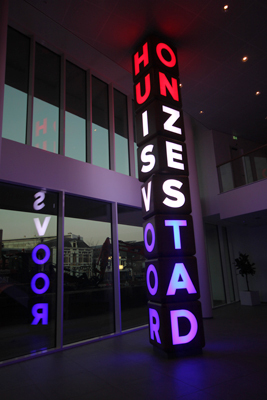 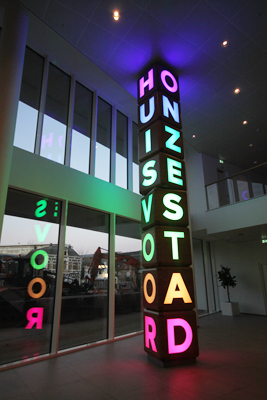 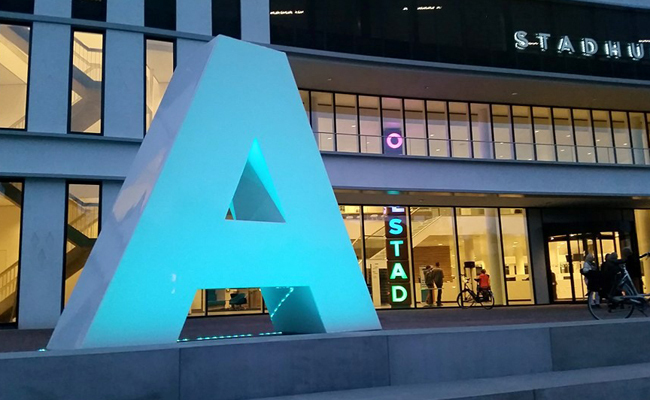 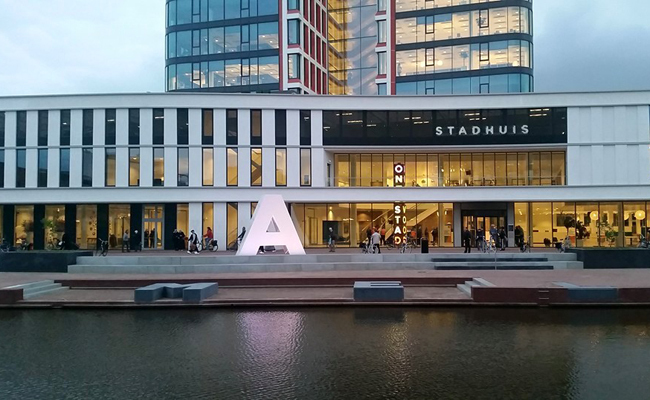 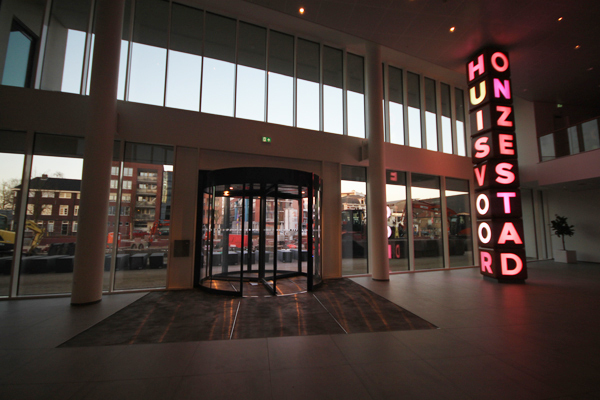 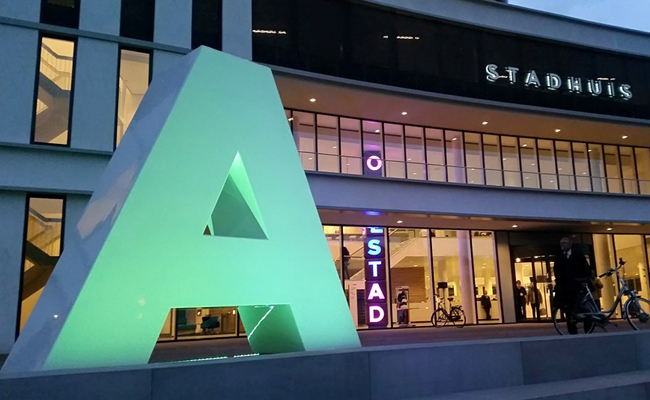 A large letter A (4 m of height), a column of letters making the woord ‘huis voor onze stad’ (house for our city), and the tekst ‘Almelo’ integrated in the paving of the quay. 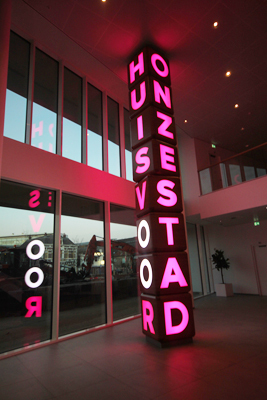 Beersnielsen assisted in the design of the integrated lighting and programming of the light scenes for different occasions celebrated at the town hall, such as ‘Kings day’, weddings and so on.